This idea for [tag]college basketball offense[/tag] was sent to me last spring. I’m passing this on for you to try with your team. Keep the tips coming! This is one of my favorite [tag]basketball drills[/tag]; we call it MidWestern. I got it from the [tag]basketball coach[/tag] at MidWestern State University. 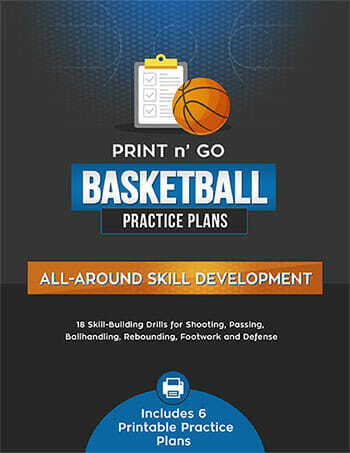 It is a continuous 2 on 1, 3 on 2, 4 on 3, and 5 on 4 [tag]basketball drill[/tag]. You have two teams of at least 5 or more players. 7 or 8 players on a team works best. 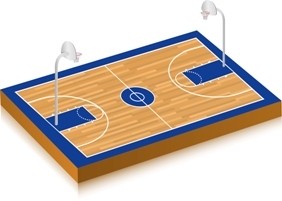 Team A will have two lines on the baseline on each side of the lane (approximately at the 3 point line). Team B will have the same lines on the other end of the court. The drill starts with one player from Team A shooting a free throw at Team B’s basket. Team B will have two defenders lined up ready to rebound. If team A makes the shot, Team B will take the ball out of bounds and go down the floor 2 on 1 against the free throw shooter. If he misses, they will rebound and transition 2 on 1 also. Team B will play offense until they score or Team A gets the rebound. Once Team A gets the rebound. The first two players in the lines out of bounds come on the floor and go 3 on 2 with the 1st shooter against the 1st two rebounders. After that transition, 2 players from Team B come on the floor for a 4 on 3 break. There will be 4 trips down the court, until you have gone 5 on 4. Remember, there will always be two players coming onto the floor to transition with the players already on the floor. 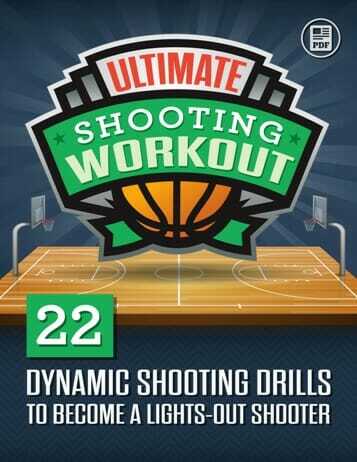 Once you have gone 5 on 4, Team B picks a free throw shooter to start the drill over again. We play to 10 points (2’s count as 1 point and 3’s count as 2) with the looser running. This is a great [tag]basketball[/tag] transition drill with the defense always at a disadvantage. It helps players learn to give help at all times. 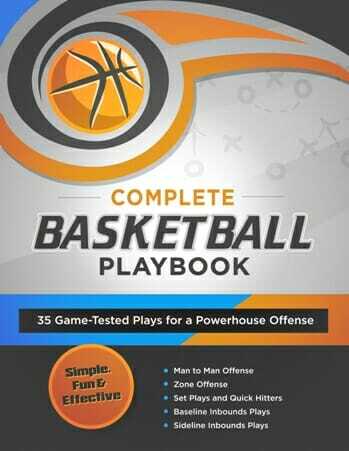 This is a great drill for zone or man to man teams.